Author’s Note: Due to the growing length of this piece, it will be subdivided into further posts detailing this topic. Consider this ‘part one’, with more Heathen-specific interests forthcoming. 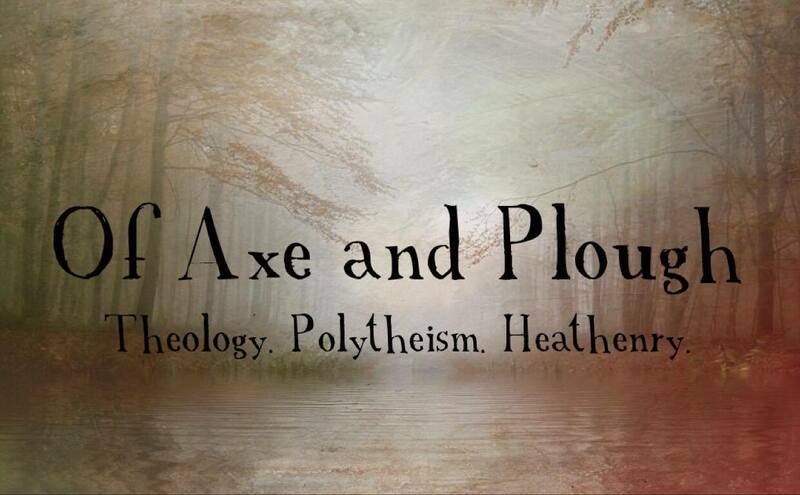 This entry deals with one of the most contentious topics of religious identity as it is approached by reconstructionist polytheistic paganism, especially Heathendom and reconstructionist Germanic practices – the issue of syncretism. As Contemporary Paganism and the reconstructionist polytheisms establish their own identity, grow, and eventually diversify with regards to internal developments a discussion as to what is and what is not syncretism and whether it is allowable within ‘Heathenry’ will invariably occur with greater frequency. Indeed, questions regarding the role and appropriateness of syncretism in the face of what is considered “traditional” approaches to religiosity and religious identity as it pertains to our collective understanding of Heathenry (and, whether it is proper to engage in syncretic practices and still be considered “Heathen”) are already common. The discussion of syncretism is necessarily multifaceted as it engages with numerous other debatable topics, each warranting their own dedicated surveys. These are topics like the intersection of cultural and religious appropriation in modern Pagan practice, religious practice and the idea of purity (or ethical authenticity) of those religious traditions, and the very understanding of the definition of ‘religion’ itself as both a useful term and as a human institution. We find that these topics are inextricably tied together and experience the same pitfalls of understanding due to the language which is employed with regards to the religious understandings that Western polytheists are exposed to; these terminological traditions are steeped in Western peculiarities and the discussion of these facets run afoul of inexact definitions which are so often mirrored when non-monotheistic religious traditions are discussed. As with the definition of ‘religion’, there can be no clear or linear narrative to designating the totality of this concept. This entry will necessarily touch upon and explore the subjects mentioned above, although it does so with a focus on the incidence of “syncretism” and accusations thereof as it applies to Heathenry. A further case will be made that Heathen identity as a religious subculture is naturally indebted to practices of syncretisation which are employed, both intentionally and unintentionally, to establish its sense-of-being beneath a theologically hostile system of perception, belief, and practice. Since its inception, Heathenry has been a naturally syncretized piece and the very historic continuum of rich cultures and beliefs which it draws its inspiration from were likewise. Such a detailed historic survey is beyond the scope of this writing, but one would show a variety of attributes to the (re)distribution of the meaning of what it is to be and what it is to engage in a syncretic practice. We invariably find that syncretism is intrinsically tied to political positions; positions regarding the maintenance and the role of the religious act, at both the institutional and deeply personal levels. This political position has been the case since the beginning of the concept of ‘syncretism’, and modern authors engage in a ‘typology of phenomena’ which are associated with varying stages and types of syncretic practices, including the phenomena of ‘amalgamation’, ‘symbiosis’, ‘coherence’, ‘identification’, and other such terms . This is the foundation of the wider concept of syncretism – an understanding between peoples based on the ideas of reconciliation, alignment, and mutual agreement to a common good of the parties involved. From the roots of a strategically beneficial brotherhood between peoples and their belief systems we can see a deeply political act of contact and intercultural exchange emerge . The recognition of this innate importance to humanity is reflected through modern anthropological classifications, placing the importance of syncretism as a fundamental facet of human interaction . Syncretism is a social-scientific term for a thought process rising questions with regards to roots, influences, and contacts, and how these borrowings are to be used and interpreted by a group . It is a question within virtually every culture or religion, as all cultures have changed over time and adopted exogenous elements and ideas. This is the foundation of the concept of syncretism – an understanding of peoples based on the ideas of reconciliation, alignment, and allegiance to a common good of those parties involved. From these roots of a strategically beneficial brotherhood between peoples and their belief systems we see a deeply political act of contact and reconciliation emerge . 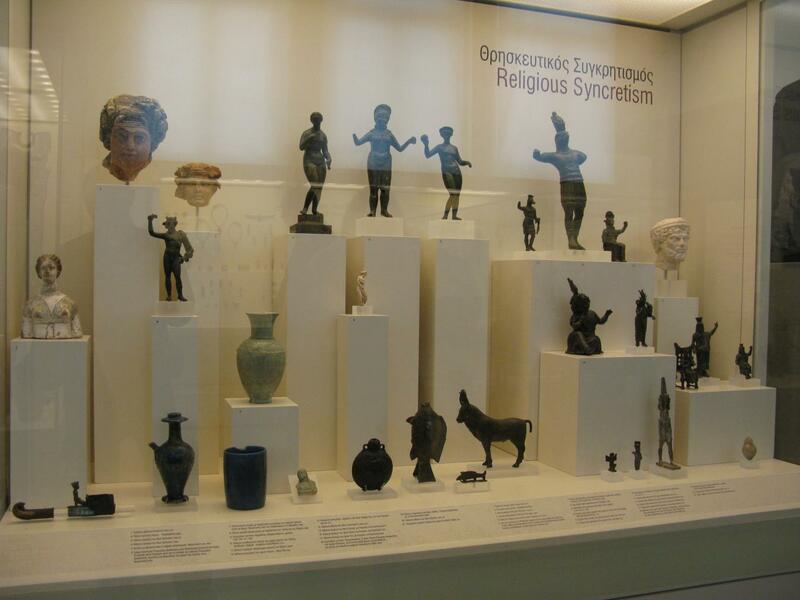 Modern anthropologists place the importance of syncretism in religio-cultural exchanges as a fundamental facet of human interaction, being an admixture of ideas which is treated as intrinsic to the cultural condition of humanity . That is as virtually every culture (except in the most extreme cases, as uncontacted Indigenous tribes) or religion is exposed to alternating ideas, it is in the human nature to interact with them, developing and syncretising in doing so. In the end, the result is a changed experience. Two particular points in Western dialogue transformed the relatively positive (or at least, neutral) connotation of ‘syncretism’ which are rooted in both the problematic interpretations stemming from the period of the Reformation, as well as that of the 19th century. From the time of Plutarch until that of George Calixtus in the 17th century, the term was fairly well regarded. After this period it was used as a theological bludgeon in the promulgation of Protestant theologies, with its detractors claiming that its use amounted to an advance of “purposeful confusion” or religious identity and an injection of religious ideas that clouded the purity of faith and religion . In terms of the studies of Heathenry it should be wholly unsurprising that Protestant rhetoric and residual interpretative infection are to blame with the conflation of syncretism as a problematic endeavor. A final phase in the development of these negative connotations is relegated to the latter half of the 19th century, where the pejorative meaning of “syncretism” was further expanded. In the case of Classicists at the time (those studying Roman and Hellenistic religions), the search for a “pure” religious example brought about further connotations of “disorder” and even a reduction to a “lowest common denominator” . Plutarch’s solidarity and mutually beneficial relationship is treated as a weapon of assimilation by an enemy power through further treatment as an extension of a Roman imperialist strategy (again, attempting to slice to the core of a fictitious “pure” religion). Peter Schineller wrote that syncretism as a word “cannot be redeemed”  . In effect syncretism has entered into popular and non-specific (non-anthropological) context with the connotations of deviancy through the use of Western Christo-academia, fueled by the perceptions of the execution of power over the beliefs and practices of others. The preference of academics to use Christian theology to distinguish between “good” and “bad” forms of syncretism remains couched in this non-specific discourse (As Robert Schreiter stated in 2011, in “Cosmopolitanism, hybrid identities, and religion”). Some scholars have gone so far as to integrate “syncretism” into their grand evolutionary scheme of religious development, treating it as a point towards monotheism in a biological model of religious growth and evolution, coinciding with the rhetoric of other ‘psychologists of religion’ (Welhausen, Hegel, etc.) . While anthropologists, in a sense, have engaged in the rehabilitation of the term in order to bring it back to a more neutral perspective, other disciplines nevertheless appear to break the mold of the past four centuries of academic and theological opinion on the concept. “Syncretism” becomes a problem when clerical authoritarianism and hierarchicalism becomes the de facto interpretation of religious truth, where everything running contrary to this notion of truth becomes a deviancy or degeneracy of its original form. Leveraging this mode of thinking can lead towards portrayal of any particular civilization and religion as a pure, sui generis phenomenon, excluding innately important (but nonetheless foreign) facets which aided in their genesis . The dialogue of authors in Heathenry who promote such attempts at revisionist purification appear cut from the same ideological, intellectual cloth as those Classicists attempting to establish a bildung for their chosen culture – as Mueller did in the Introduction to a Science of Mythology (1825), and following in Herder and Fichte’s formulations of the relativism of cultures and national identities which generated an anti-Enlightenment form of nationalism. At the very worst, the stressing of Heathenry’s supposed religious purity and autochthonous nature mimes rather unfortunate racialist social rhetoric for which anything related to Germanic culture needs be wary of. Bemoaning syncretism as some negative impact on a religio-cultural idea possesses within it a certain blindness and tone-deafness to the issues of power within any singular grouping of identities, and their struggle for extricating themselves from erasure into the wider cultural demographic. Likening syncretic movements wholesale to Cargo cults or millenarian pre-political movements of charismatic leaders (as in E.W. Mühlmann’s Rassen, Ethnien, Kulturen, 1964) casts particularly nativistic aspersions at what is a fundamental religious dialogue in a multi-religious environment; simply, it is patently difficult (if not self-defeatingly impossible) to avoid expressing identity without reference to ideas or rituals that have meaning in other religious groups . If we are to take that culture does not exist, usually, within a vacuum and that culture and religious identities, mores, and practices do not arise totally from nothing (similar, perhaps, to the Buddhist concept of Pratītyasamutpāda, that nothing arises independently of others), then we can begin to see how a strictly anti-syncretist approach to Heathenry will do more harm than good. In further discussion we will engage in concepts of syncretism, of historic appropriations, and the positioning of contemporary Heathen practice and belief through a lens of syncretic understanding so as to develop a living identity that exists beneath the overculture of monotheistic values. Wiktionary contributors, “syncretism”, Wiktionary, the Free Dictionary, https://en.wiktionary.org/w/index.php?title=syncretism&oldid=49793444 (accessed January 8, 2019). Plutarch, ‘De Fraterno Amore’, published VI. Loeb 1939, trans. W. C. Helmbold, http://penelope.uchicago.edu/Thayer/E/Roman/Texts/Plutarch/Moralia/De_fraterno_amore*.html (accessed, January 25, 2019). Shaw, Rosalind and Charles Stewart, “Introduction: problematizing syncretism” in Syncretism/Anti-Syncretism: the Politics of Religious Synthesis, ed. Charles Stewart and Rosalind Shaw, Routledge: London, 1994, pg. 3. Stewart. Charles, “Syncretism as a dimension of nationalist discourse in modern Greece”, in Syncretism/Anti-Syncretism: the Politics of Religious Synthesis, ed. Charles Stewart and Rosalind Shaw, Routledge: London, 1994, pg. 120. Schineller, Peter, “Inculturation and syncretism: what is the real issue?,” International Bulletin of Missionary Research 16, no. 2 (1992).